1. Drive away price on qualifying new and demonstrator series 0 Alfa Romeo Giulia vehicles manufactured prior to 1 January 2018, registered and delivered from participating Alfa Romeo Dealers between 1 January and 31 March 2019, unless changed, withdrawn earlier or extended at the discretion of FCA Australia Pty Ltd. Offer valid while stocks last and excludes fleet, government and rental buyers. Price includes all on road costs and Alfa Red, Alfa Black or Alfa White paint. Other colours may incur additional costs. Terms, conditions and exclusions apply. 2. 3yr Manufacturer’s warranty. 3yr Roadside Assistance is from date of vehicle registration or 150,000km (whichever comes first). 3 years Complimentary Servicing is a manufacturer specified standard scheduled maintenance services for up to 3 years or 45,000 kms (whichever occurs first). 3. Drive away price on qualifying new and demonstrator series 0 Alfa Romeo Giulia Super Petrol vehicles manufactured prior to 1 January 2018, registered and delivered from participating Alfa Romeo Dealers between 1 January and 31 March 2019, unless changed, withdrawn earlier or extended at the discretion of FCA Australia Pty Ltd. Offer valid while stocks last and excludes fleet, government and rental buyers. Price includes all on road costs and Alfa Red, Alfa Black or Alfa White paint. Other colours may incur additional costs. 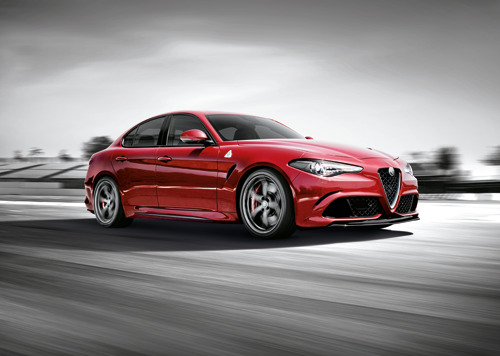 5.Offer available on qualifying new and demonstrator series 0 Alfa Romeo Giulia Veloce vehicles, registered and delivered from participating Alfa Romeo Dealers between 1 January and 31 March 2019, unless changed, withdrawn earlier or extended at the discretion of FCA Australia Pty Ltd. Offer valid while stocks last and excludes fleet, government and rental buyers. Price includes all on road costs and Alfa Red, Alfa Black or Alfa White paint. Other colours may incur additional costs. Terms, conditions & exclusions apply. 6.Veloce Sports Pack only available for purchase in conjunction with the drive away offer stated above. Veloce Sports Pack offer is not interchangeable and cannot be redeemed for cash or anything else. Veloce Sports Pack worth $4,000 on Giulia and $3,000 on Giulia Super. 7.Carbonio Pack offer is not interchangeable and cannot be redeemed for cash or anything else and limited to 20 vehicles. Full PDS and Terms & Conditions at alfaromeo.com.au/owners.html. Terms, conditions and exclusions apply. 1. Drive Away price available on new and demo Series 0 Alfa Romeo Stelvio 2.0L petrol turbo vehicles registered and delivered from participating Alfa Romeo Dealers between 1 January and 31 March 2019, unless changed, withdrawn earlier or extended at the discretion of FCA Australia Pty Ltd. Offer valid while stocks last and exclude fleet, government and rental buyers. Price includes all on road costs and Alfa Red or Alfa White paint. Other colours may incur additional costs. Terms, conditions and exclusions apply. Terms, conditions and exclusions apply. 3. Drive Away price available on new and demo Series 0 Alfa Romeo Stelvio First Edition 2.0L petrol turbo vehicles registered and delivered from participating Alfa Romeo Dealers between 1 January and 31 March 2019, unless changed, withdrawn earlier or extended at the discretion of FCA Australia Pty Ltd. Offer valid while stocks last and exclude fleet, government and rental buyers. Price includes all on road costs and Alfa Red or Alfa White paint. Other colours may incur additional costs. Terms, conditions and exclusions apply. 4. 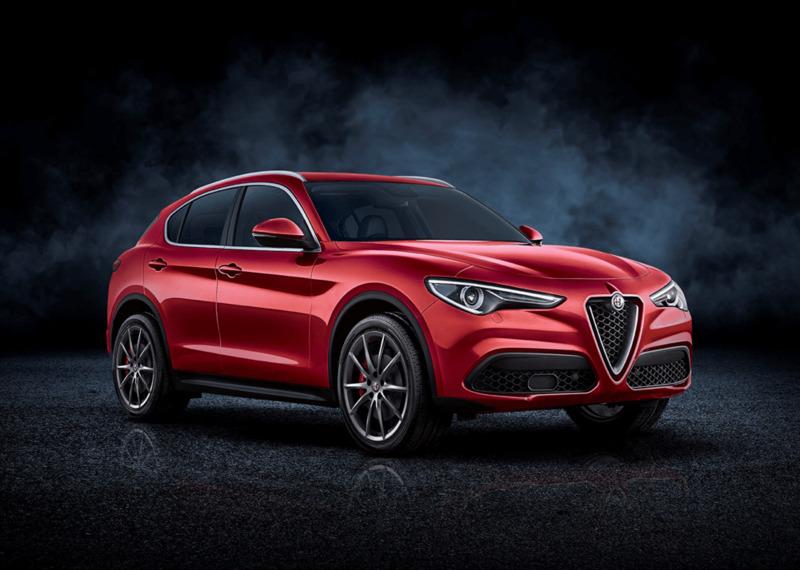 Drive Away price available on new and demo Series 0 Alfa Romeo Stelvio Ti 2.0L petrol turbo vehicles registered and delivered from participating Alfa Romeo Dealers between 1 January and 31 March 2019, unless changed, withdrawn earlier or extended at the discretion of FCA Australia Pty Ltd. Offer valid while stocks last and exclude fleet, government and rental buyers. Price includes all on road costs and Alfa Red, Alfa White or Misano Blue paint. Other colours may incur additional costs. Terms, conditions and exclusions apply. 1. 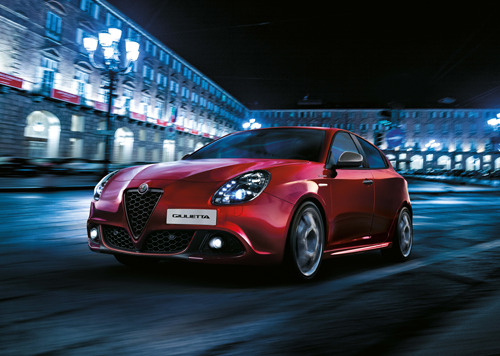 Drive away price on new Alfa Romeo Giulietta Series 2 Super manual, registered and delivered from participating Alfa Romeo Dealers between 1 January and 31 March 2019, unless changed, withdrawn earlier or extended at the discretion of FCA Australia Pty Ltd. Offer valid while stocks last and excludes fleet, government and rental buyers. Price includes all on road costs and Alfa White paint. Other colours may incur additional costs. Terms, conditions & exclusions apply.